#51 – Learning to change my negative thought patterns…it’s awesome! I’ve just started reading Joyce Meyer’s magazine, Enjoying Everyday Life. It’s a great read but one article has really helped me change the way I think. It has given me tools to take charge of my thoughts and stop them from spiralling me downwards into depressing, snarky, bitter, accusing, disheartening patterns. The concept is simple. As soon as those negative thoughts enter my mind, I have learned to immediately thank God for something – anything I can think of. Try it – it really works! It’s been working really well for me this week and moments of frustration and dishearten have been turned into moments of worship and thankfulness to God. It has been beautiful. Today though – today’s a different story. All morning I was barraged by thoughts of resentment, disappointment, accusation. I was feeling pretty glum. I kept thanking God for different things though..and eventually I realised that my day had turned around. God had replaced those thoughts and feelings with a determination to do this season well. He had filled my heart with encouragement that He has chosen me for this path, so He has equipped me. And that He will never leave me or forsake me. 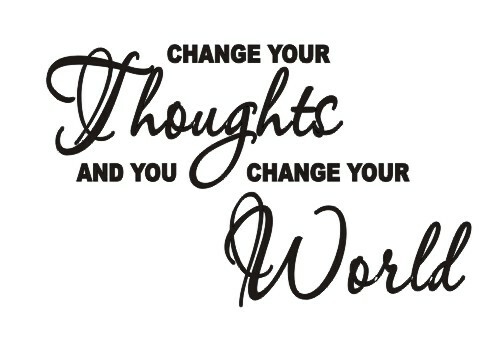 IF YOU’D LIKE TO READ MORE ABOUT JOYCE’S TEACHING ON CHANGING YOUR THOUGHT LIFE, CLICK HERE.